I’m a fan of Goodreads – even before the website came out I was toying with a similar idea – not so much for the social networking aspect of it – but more as a way to record the books I’d read. Previously I’d done such things by the use of spreadsheets, but obviously a website and app that you can access everywhere and has a database of published books makes that take a lot easier. Why record what you’ve read? For me it’s because I’d forget what I’ve read otherwise and be doomed to start reading or even buy something that I’d already read before. I tend to read quite a few books from the library, so a quick glance at a bookshelf doesn’t always solve the problem. Also I think its good to be able to rate titles – for instance if you’ve read a book by one author and did or didn’t like it then the next time you’re tempted by another book of their’s you can see what you thought of their previous stuff. I tend not to write long reviews though – usually just a simple rating suffices for me. I’m more likely to leave a brief note for myself on Goodreads if I really hated a book and why so I can remember to steer clear in the future. Which brings me onto short stories. If you read a short story collection or anthology, or even an issue of a short story magazine, there’s no way on Goodreads or similar sites of recording what you think about individual short stories. You can only rate the whole book. You could then write a detailed review of each story, but that’s quite laborious and also wouldn’t enable you to search your reading history by author or story title to see if you’ve read a story before and what you thought of it. Given that short stories can pop up in different anthologies I think it would be very useful to do so. I think for short stories there needs to be some way to have short story level meta-data so you could actually tag a short story once you’ve read it and provide a simple rating or a review if you want to. Ideally this should be linked to your ereader software if you read ebooks – then you can just rate a story as you read a collection and update your database that way. I’m sure Amazon must be thinking of linking Goodreads in that way at a book level – how about at the short story level? What do others think? Do you come across this problem as well? I’m really excited to tell you about a new short story that I have just published as an eBook on Kindle. I hope you like it – let me know what you think! Set in the Middle Ages, Mark Lord’s novel tells a gripping story where demons and necromancers engage in a power game with the adventurous protagonists Jake, Roger and the beautiful Isabel, who is accused of witchcraft. Investigating an infestation of demons in the town of St Brett’s is the last thing that Jake Savage wants to do this summer. But for his master, the controversial Oxford scholar Roger Sotil, it is a chance to prove his theories about demons and avoid charges of heresy. The Abbot of St Brett’s has called for Roger’s help to rid his town of demons. Jake owes Roger a massive debt, but St Brett’s is a town that holds dark memories for him. Who is behind this plot and what is the ultimate prize? In Hell has its Demons a plot unfolds to use demons to take the ultimate prize of all – the crown of Edward III, King of England. Hell has its Demons is the first novel in a trilogy. Click here to read Chapter 1 for free! In terms of eBooks the $0.99 price point is still very common – its taken some criticism over the last few years, but by and large a lot of self-published and public domain classics still retain the $0.99 price point. I don’t use it for pricing my novel length titles, but I do have some short stories at that price. But how long will it last? Surely with the effects of inflation we won’t always have the $0.99 price? The retailers will realize the costs associated with selling titles at this price are unsustainable at some point. When will that be? I thought it would be interesting to see how much the revenue for indie/self-published publishers has declined at the $0.99 price point over the last few years and what might happen in the future. I’m not economics expert, so if my maths is awry then let me know. I used a US Inflation Calculator to do the sums. Let’s say you started publishing titles in 2010 at $0.99. If you are publishing via Amazon you get 35% of that back in royalties, which is $0.35/sale according to the reports I get from Amazon. That $0.35 is now worth in reality $0.33, 6.8% less than it was worth in 2010. That’s quite a dramatic difference! Customers are paying effectively the equivalent of $0.99 – assuming of course their disposable income has increased at the same rate as inflation. What would happen if inflation was a similar rate for the next 5 years say? If you go with an inflation rate of 2% a year, then $0.99 in 2018 is worth only $0.89 now, the royalty is $0.32, not too bad perhaps, but still a 10% reduction. If you applied that over all your sales you can see that sticking at a $0.99 is unsustainable. I think it’s likely that those sticking with the $0.99 will inevitably have to start putting up prices fairly soon. And I suspect there will be more pressure from retailers to decrease the royalties on books below a certain price. 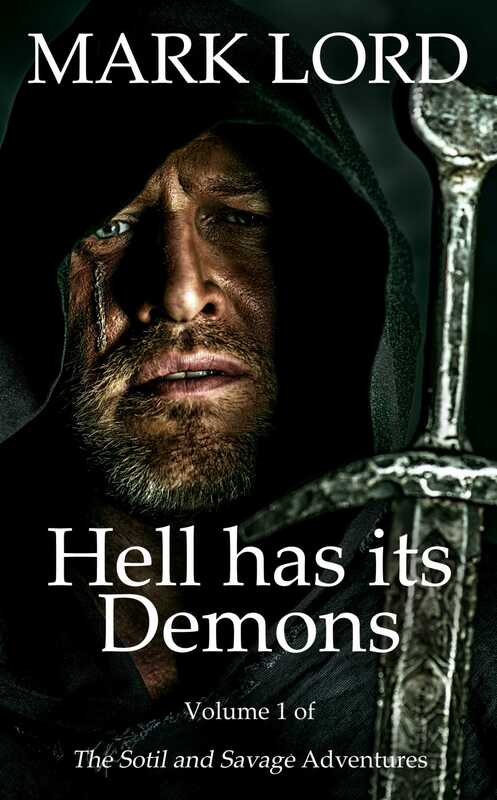 My new novel, Hell has its Demons, will be free on the Kindle this weekend. The promotion should be starting today, Friday, 28th June, and will last until Saturday. Get it while you can at Amazon.com | Amazon.co.uk | and their other stores! What if the demons portrayed in the Middle Ages were real and could be conjured by necromancers? And what if those seeking power decided to use demons to get what they wanted? In Hell has its Demons a plot unfolds to use demons to take the ultimate prize of all – the crown of Edward III, King of England. Investigating an infestation of demons in the town of St Brett’s is the last thing that Jake Savage wants to do this summer. But for his master, the controversial Oxford scholar Roger Sotil, it is a chance to prove that demons can be conjured and avoid charges of heresy. In St Brett’s Roger sees demons possessing the townspeople. Jake thinks they are just acting very strangely. The people are scared and want answers fast. A beautiful woman, Isabel Haukwake, is accused of witchcraft. Roger feels sure that she isn’t guilty. Jake knows she isn’t. He was once engaged to marry her, until his father took her from him. A while ago I did a couple of posts regarding the pros and cons of Self Publishing, with the intention of doing some more posts at some point. Well this is the next one. It’s on distribution and an area that is bugging me quite a lot at the moment and where I think there is quite a big gap in the market to help self published authors. On the eBook side self publishers have quite a good choice for distribution. They can get their eBooks published via all the main eBook retailers through a variety of means – either going direct with Amazon, Kobo, Barnes & Noble or Apple or using distributors such as Smashwords and Lulu to do part of it for them. It seems that of the retailers only Amazon demands direct engagement from authors and won’t let a distributor take some of the pain of multiple platforms away – but then Amazon don’t want authors distributing their work via other retailers anyway. Going direct to retailers has its benefits, but self published authors have the choice usually of doing that or using a distributor for their work. On the traditional publishing side it really depends on what arrangements have been made by your publisher. Some publishers have a difficult relationship with Amazon for a whole host of reasons. And I think some others – more small to medium sized – are still only just getting to grips with eBooks. I was surprised to find that some recent Science Fiction books that I was trying to buy recently from well known authors were not available as eBooks. So it’s possible that to go the traditional route may inhibit eBook distribution if the publisher has a tiff with someone like Amazon, or just is slow in getting its systems together – worth taking into account when selecting a publisher. This is still true and I think a major problem for the self-published author. The one clear advantage of being published by a traditional publisher is that your book will appear in print and will get some sort of decent distribution to bookshops, book wholesalers and to library suppliers. Maybe even into book cataloguers/book clubs and supermarkets if it is a bestseller. Even if the shelf life is short there will be some exposure and book shop customers can place orders for a book through a book shop and have that order fulfilled. For a self published author to achieve the same level of distribution is difficult. To get the same face time as a publisher sales rep with book shop chain buyers who decide whether to buy copies of a book is impossible. On the logistical distribution side it seems that the main options for self publisher are to purchase a more expensive package than the standard ones from Lulu or Createspace – you need something like the Extended Distribution from Createspace or to go with Ingrams’ Lightning Source service to even get in the major bibliographic databases, otherwise online sales via Amazon are probably the only means for customers to purchase print. For some bright spark there has to be an opportunity here. Either a start-up company or one of the book wholesalers perhaps could step in and offer enhanced sales and distribution for the self published author. They could produce a catalogue and actively sell these titles to bookshops. I think they would have to impose some sort of vetting process – the author would have to somehow justify why their book should get attention from the bookseller – previous eBook sales or direct online print sales history could play a major role here I think. Interesting times and an area that’s still in development for self published authors. I have finally managed to get my short story The Honour of Rome distributed through a wide range of eBook retailers – previously it was just on Amazon. So if you like reading books on the Nook, iPad or any other device – see Smashwords – then you now have no excuse not to read The Honour of Rome! Until the end of Monday my short story Demon River will be free for download to the Kindle. Set in a fantasy world of dark magic, Benetus, the King’s chancellor, fears the return of a rival he had thought banished from court. Benetus turns to the help of demons to rid himself of his enemy. But things are not always as they seem in the spirit world.